Since then, a week doesn’t go by before some of my clients raise the issue of politics in their therapy sessions—in a manner that reveals disdain for those with differing political views and fear for the future of our country. 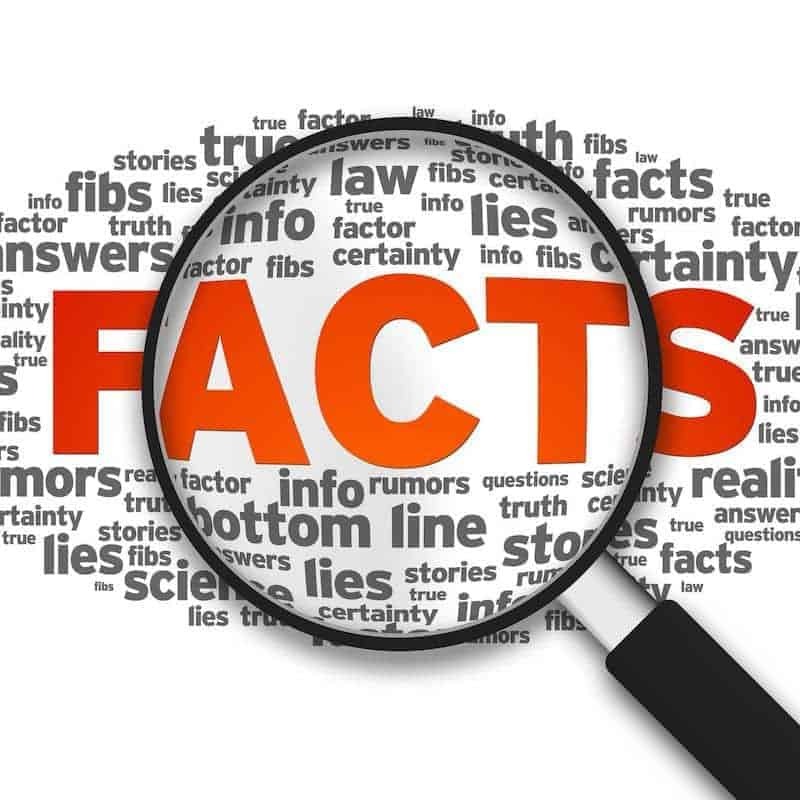 One of the ingredients of this deepening divide is the phenomenon we now call “fake news.” Fake news runs the gamut from news that is patently false by any reasonable standard, to news that is accurate in its facts but still biased or incomplete. Fake news is news with an agenda that goes beyond the facts and tries to persuade the consumer to draw a pre-determined conclusion. The problem with much of the information – and misinformation – coming our way is that reasonable people disagree about what news is actually fake. Even when people agree that some news is clearly biased, they may not care when the bias reflects their own beliefs. It is only when the bias goes against one’s cherished beliefs that fake news is considered a blight on journalistic integrity and an obstacle to those seeking truth. A well-respected survey called “The American National Election Studies” examines American’s political opinions. They found that 30 years ago, people’s feelings toward those in the opposite political party were NOT that different from how they felt about those in their own party. Not so today. People nowadays are more polarized than ever before. 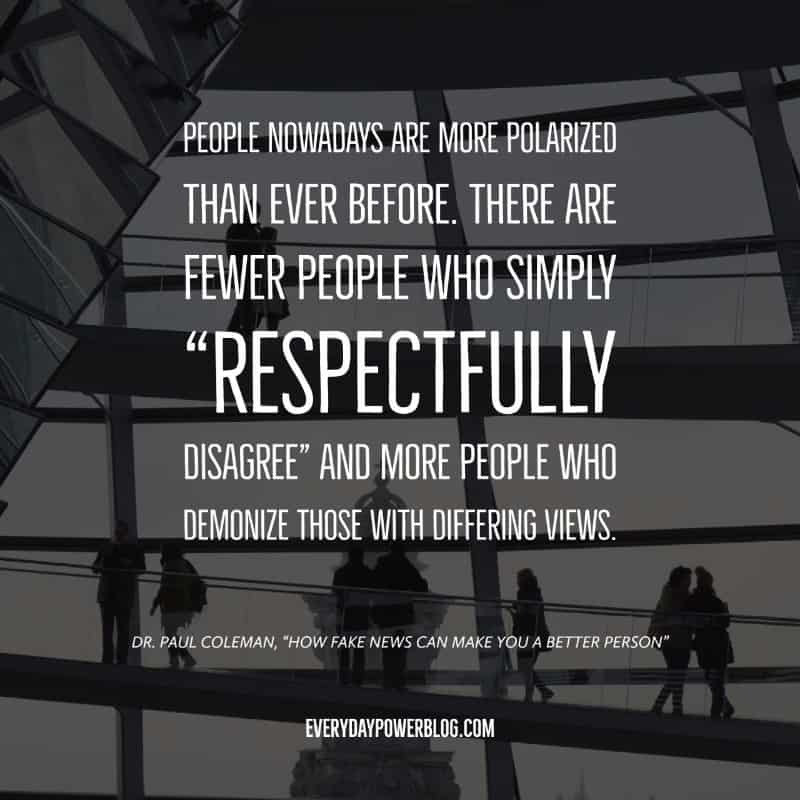 There are fewer people who simply “respectfully disagree” and more people who demonize those with differing views. But herein lies an opportunity for personal growth—and perhaps for reversing the ill-will that has cast a shadow over our country. 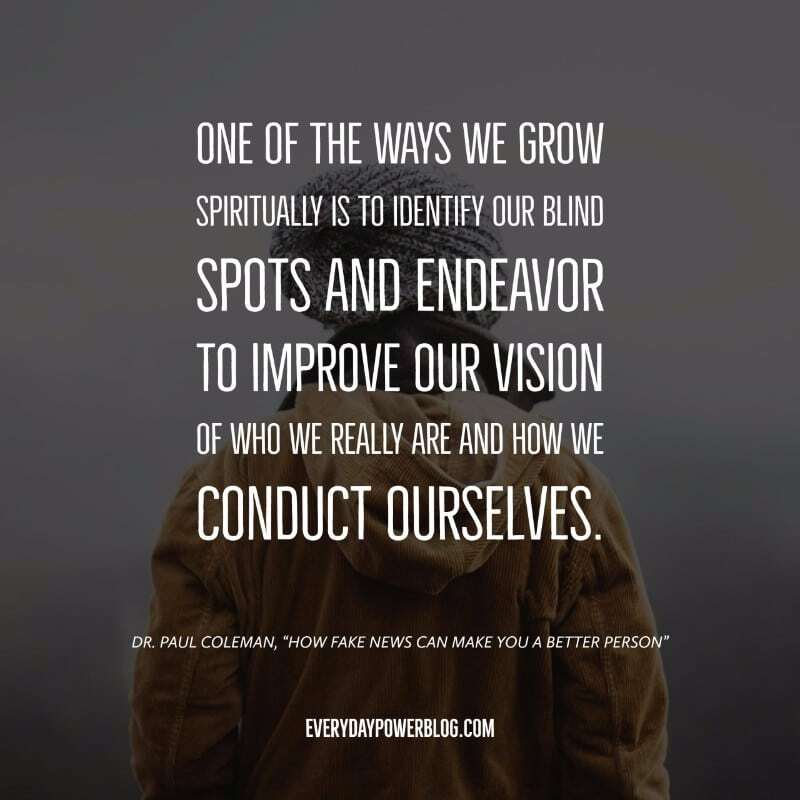 One of the ways we grow spiritually (or psychologically) is to identify our blind spots and endeavor to improve our vision of who we really are and how we conduct ourselves. That takes courage and humility. What we learn about ourselves is often not very flattering. 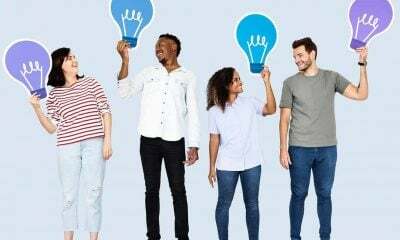 They search for information that supports their pre-existing beliefs and overlook, or become suspicious, of information that challenges firmly-held beliefs. They have a hard time admitting they are wrong when it involves cherished beliefs. They will make excuses for the bad behavior of people they identify with, while criticizing that same behavior in those they oppose. They will feel some sort of satisfaction when those they deeply disagree with are ridiculed; but become defensive and angry when those they identify with are ridiculed. When any of the above are pointed out during a heated debate, they will deny what they are doing, or will justify it in some way. They will read the above points and nod their head in agreement that the average person is guilty of such things—but that they themselves are more objective than the average person. 1.) In any news story or political debate, strive to see some merit (even if it is a small amount) in what is being conveyed. 2.) If you are in a debate, instead of arguing facts, try to understand the deeper reasons why the other person feels the way they do. Is it the need to be right? Is it loyalty to a group? 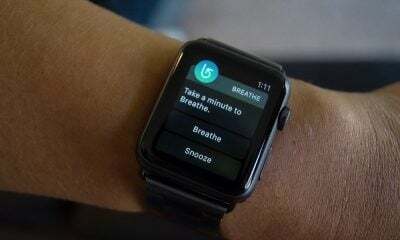 Is it future safety or comfort? Sometimes, we hold stubbornly to beliefs because we are attached to a fear or a need. 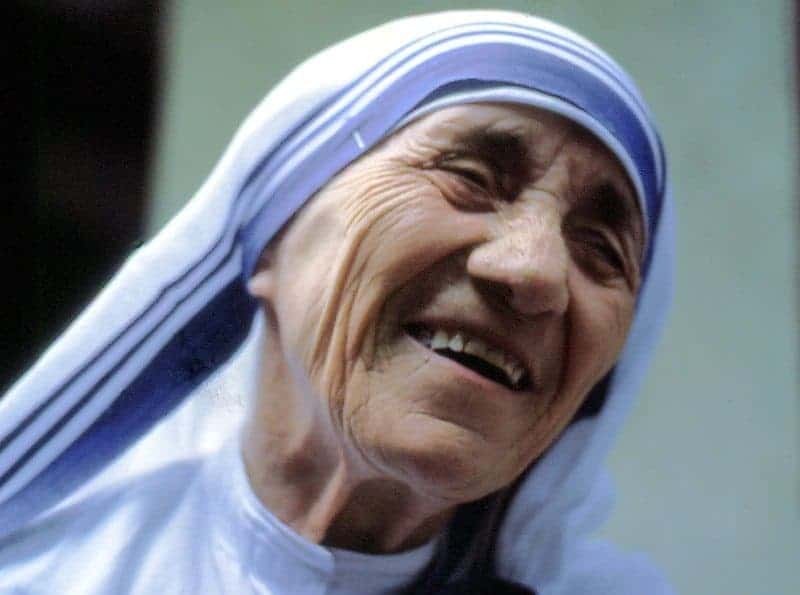 Can those fears or needs be addressed in ways other than clinging to a certain set of beliefs? 4.) If you find yourself labeling those you disagree with in pejorative terms, apply those same pejoratives to yourself and see if there is any accuracy. 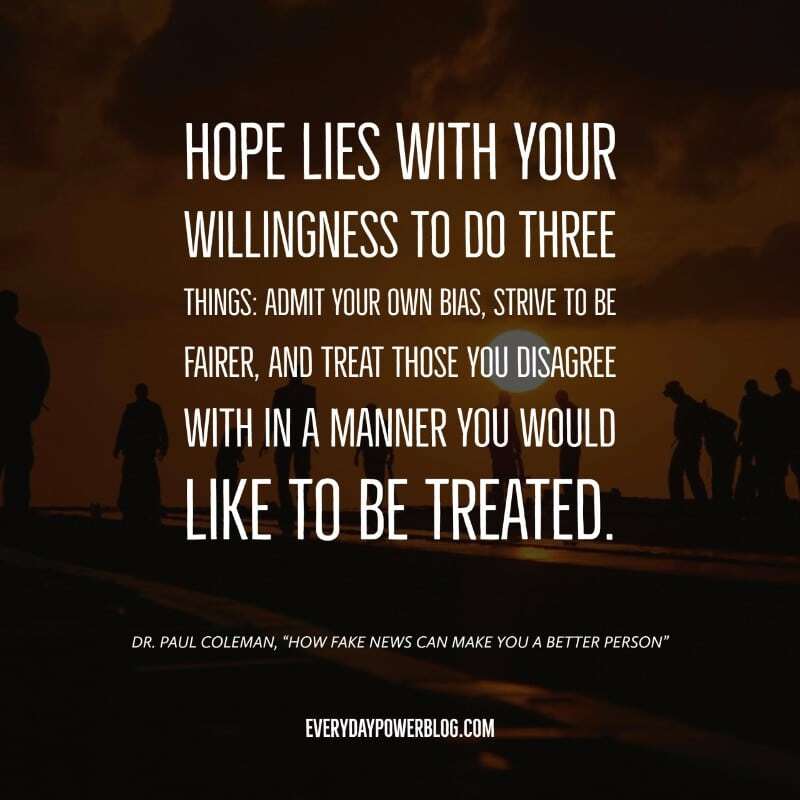 For example: if you say to another, “You are a hypocrite (or lacking compassion, or selfish…)!” ask yourself “Am I ever hypocritical?” If the answer is “yes”, then take steps to improve those traits in yourself. We often see in others aspects of ourselves we wish to hide. 5.) Stop contributing to no-win debates on social media if it only serves to inflame rather than enlighten. 6.) Pray or meditate for a greater ability to recognize your own weaknesses, correct them, and be a healing presence to others.